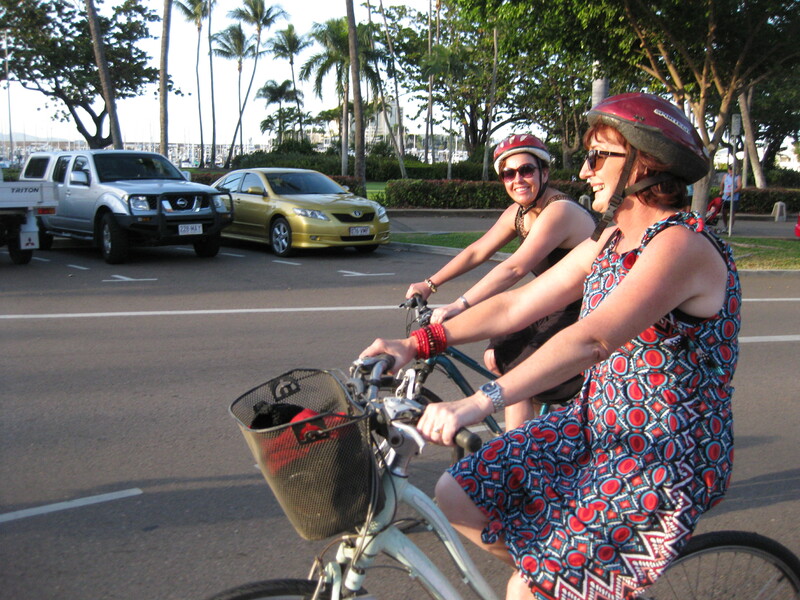 What do you get when you combine a long weekend, a bunch of enthusiastic people who love riding bikes, Townsville Bicycle User Group’s (BUG) Style Over Speed black-tie event, an Austrian cycle-tourist, and crystal clear weather with just the right level of crispness (tropical winter style)? Why, the perfect weekend of course! 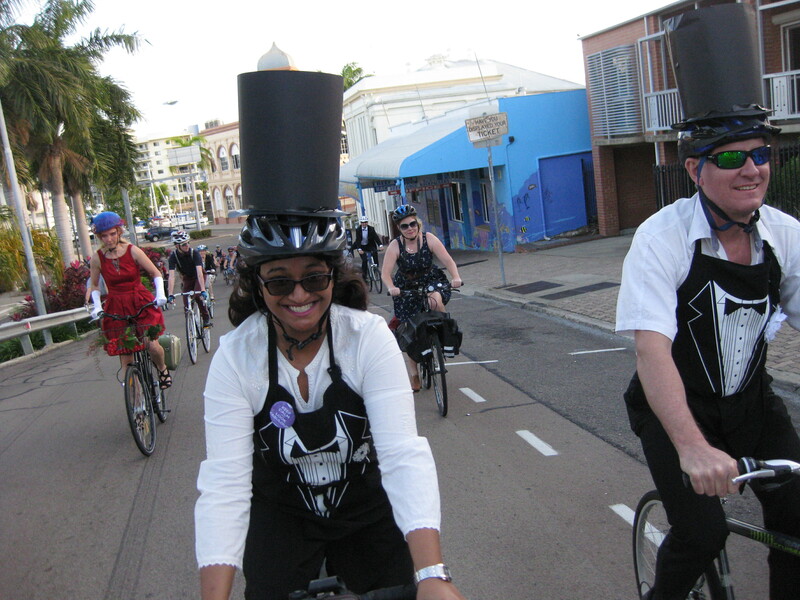 Saturday afternoon saw a LOT of very stylish looking people heading out for a slow and steady meander down Townsville’s Flinder’s Street and along the Strand, followed by an after party that had circus performers and live music, and was filled with fun and frivolity. After a fantastic evening, we were ready for what felt like Townsville Style Over Speed’s after-after party. 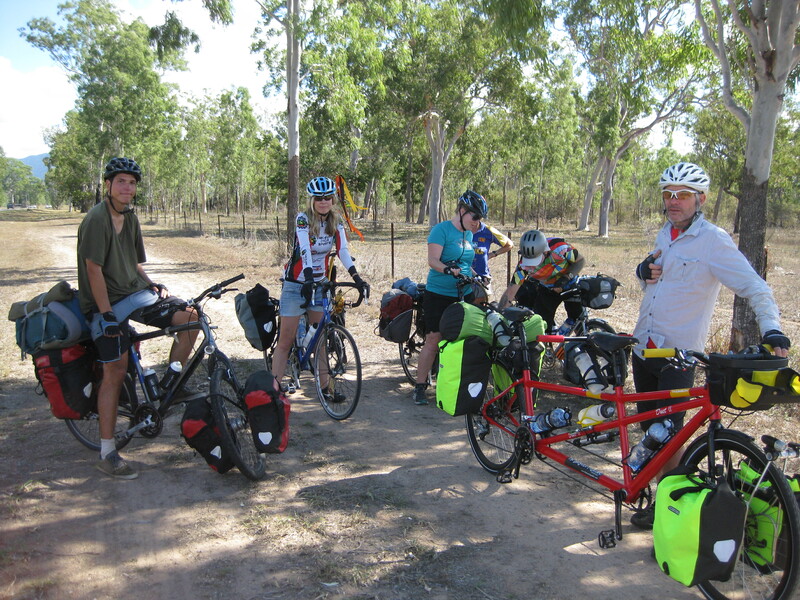 At midday on Sunday we joined a few others with our bikes loaded up with camping gear and headed towards Hervey Range, which is basically west of Townsville. Josh came with us with 6 months worth of gear. He was heading home to Austria after the weekend following his six month cycling trip from Perth to Townsville via Broome (see cyclingjosh.com). Josh managed to maintain his relaxed smile the whole 40km, including during the final 3km uphill pinch before we hit the obligatory stop at the Heritage Tea Rooms for a coffee. 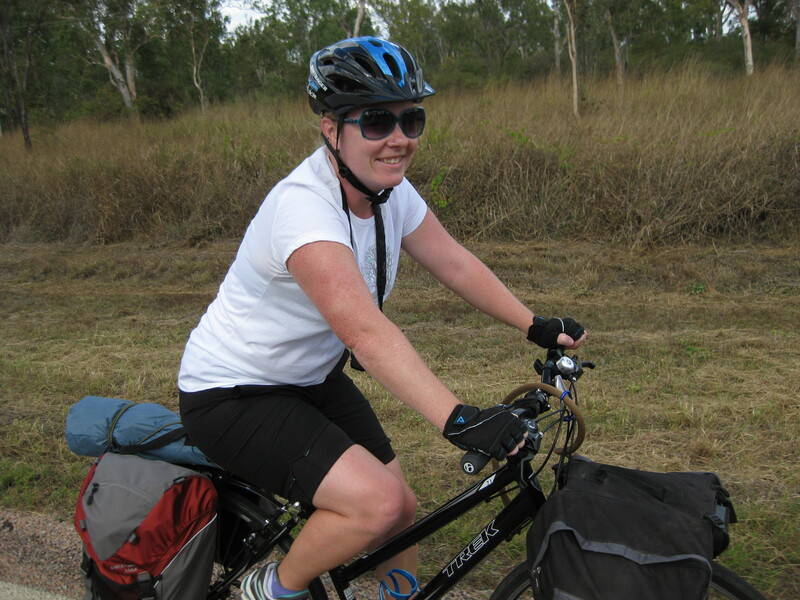 Deb had only done one cycle touring trip before and was a little nervous about making it up the hill and to the tea rooms. 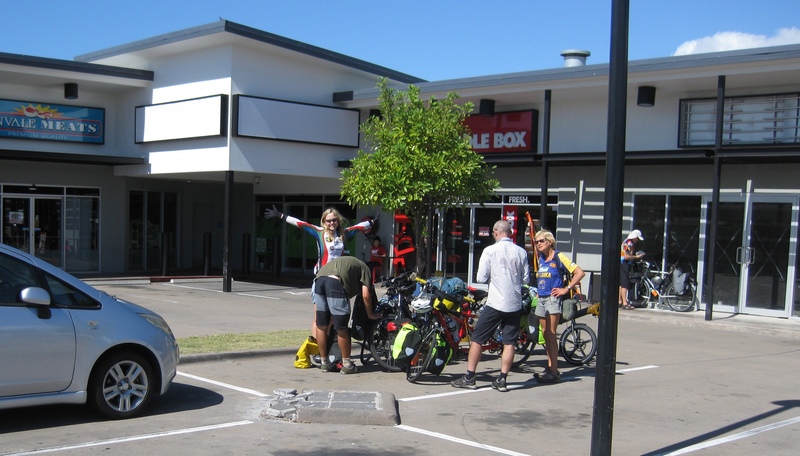 Well, she made it just fine and proved once again that anyone can go cycle touring! Our veerrryyy good friend offered to have us all stay in his backyard, just past the tea rooms. We set up camp around the pre-prepared fire and spent the afternoon and evening eating his brilliant homemade soup and enjoying the company of his family and pet dogs. In the morning, we had an exciting newish purchase to try out, something we had heard about from Alee and Kat of CyclingAbout.com when they stayed with us last year on their way home from a 2 year world cycle touring trip. According to Kat and Alee, the Airspresso had provided them with many cups of quality espresso during their trip and was well worth the money and the extra 200 grams of weight. The Airspresso is made in Melbourne and can only be ordered online from the guy who makes them. Equipment-wise, it requires nothing more than the robust contraption you can see in the photo on the right and a bicycle pump to make it go. Despite our slow and somewhat awkward handful of attempts so far, the coffees have still turned out pretty darn good and the Airspresso has been deemed a cycle touring keeper! We had a lazy start on Monday morning in the 9 degree celsius temperature, which made us grateful for the fire that had been well-stoked and left rumbling all night long. The Heritage Tea Rooms got another visit and we left about 11am to meander (actually, FLY) down the hill and onto the flat where the pace steadied until we made it to the final farewell and coffee stop. 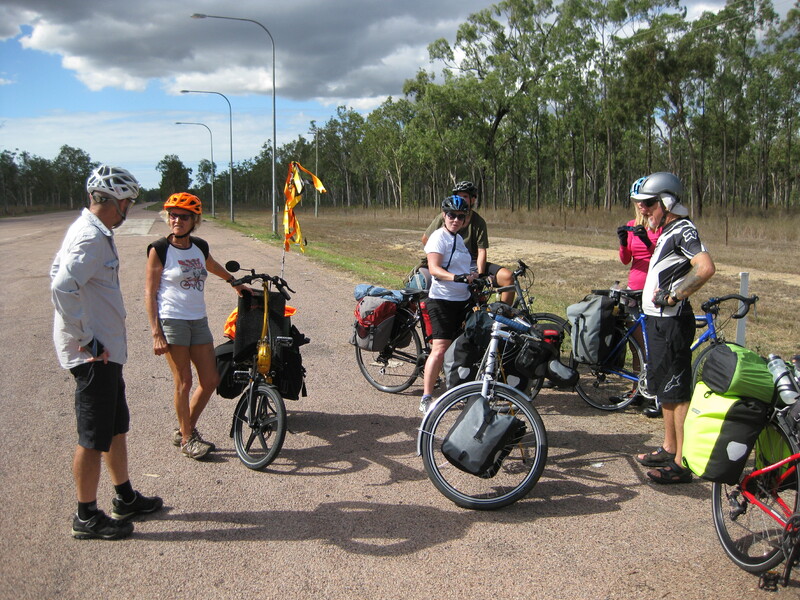 The whole weekend was filled with fantastic bicycle activities and the company of friendly people who appreciate the simplicity and joy of riding a bike. Now, plans for the next one? 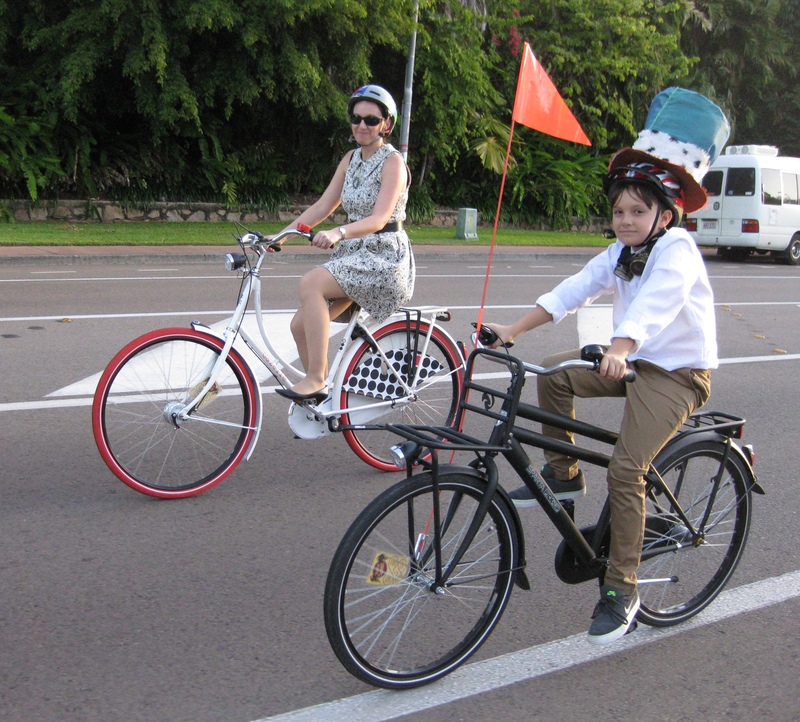 ← Goodbye Car, Hello Bike!